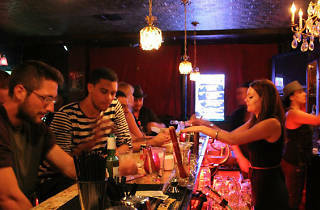 Photograph: Scott Stegenga R Bar. 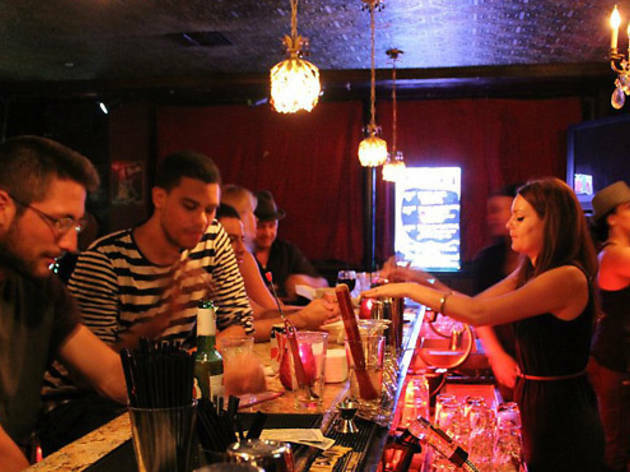 This K-town dive bar brings in a young crowd to its American speakeasy-style space—check the bar's social media or call ahead for the password. Come out for karaoke Monday, Wednesday and Sunday night. Interesting little K-town dive bar. Pretty solid happy hour that runs until 9 daily I believe. Overall a very "community" crowd, lots of locals and regulars that can be found signing at the top of their lungs. Appears that this place can get pretty busy as the night goes on, but if you go a bit earlier it's not too tough to grab a table. The speakeasy style entrance and the password thing is definitely a little bit of added fun. Check their facebook for the "password"